Full Line of Driftwood Products including Driftwood Weathered Wood Finish for creating an easy driftwood weathered wood finish on wood in minutes and preserving it with Driftwood Final Finish. 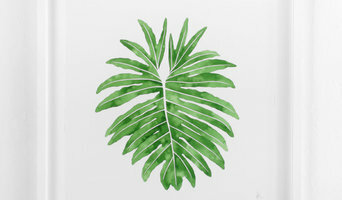 We are a fully licensed and insured painting company in Martin and St. Lucie counties. Offering top quality Painting and Pressure Cleaning. We are Drva... Makers of New Vintage Wood- The perfect cost-effective solution for remodeling, renovation, construction or craft. Drva wood is milled to our specifications here in the USA. It is distressed, treated and finished locally using a proprietary process giving it the look embraced by interior designers and industry magazines alike. Each board is hand hewn with beveled edges, offering a unique look and feel. Drva wood comes in various lengths, giving it a truly dynamic appearance. Our accentuated texture give knots, graining and other character marks real life depth. Our wood is 100% safe for interior use. It is free of lead paint, toxins and pests commonly found in reclaimed materials. Using our Advanced Eco-Adhesive, installation is a snap. You can literally put Drva wood over any surface without using a single nail or screw. Our system creates a permanent bond, far superior to the stick on options offered by competitors. From our wide array of finishes you'll find one that's perfect for you. Be the envy of your neighbors, when you use Drva's New Vintage Wood in your space! Precision Painting & Waterproofing has been providing residential and commercial services since 1997. What started as the residential paint division of Croom Construction Company and quickly gained a reputation for quality, timely work is now winning accolades for our commercial projects along the Treasure Coast. From prestigious developments like John’s Island, Windsor, Orchid Island and the Moorings to multi-family units and large office buildings, Precision is considered the area’s premier painting contractor. Home Painting, Interior Painting, Exterior painting, Faux Finishing, Wallpapering. The Wallpaper Company's Boca Raton store is near our customers in near Delray Beach, Highland Beach, Boynton Beach, Pompano Beach and Parkland. Visit us today! Color Combinations Painting has been offering comprehensive interior painting and exterior painting services in Boynton Beach, FL for 15 years. Our customer service and the quality of our work is key. Building a long lasting relation with you is very important to us. Our employees are courteous, well trained, and highly experienced. Our locally owned business will work in a detailed fashion so that we can deliver superior results, and over the years, we're proud to have had many satisfied customers. Paint and wall covering contractors are experts in the specs, application and removal of paint, wallpaper and other wall coverings. They can help you choose the paint color and finish, wallpaper style or specialty covering that best suits the needs of your Hobe Sound, FL home, whether the job is for the interior or exterior. In addition, they can strip off old paint or paper and prepare surfaces through sanding, skim coating and other processes. 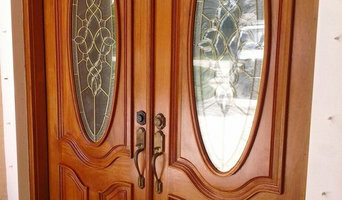 Many can handle decorative paint treatments and materials such as plaster. A paint and wall covering contractor might work closely with Hobe Sound, FL interior designers, builders and others, too. Here are some related professionals and vendors to complement the work of paint & wall covering dealers: Interior Designers & Decorators, Artists & Artisans, Window Treatments, Carpet Dealers. 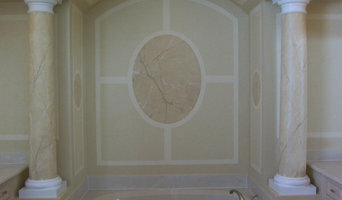 Find a paint and wall covering contractor on Houzz. 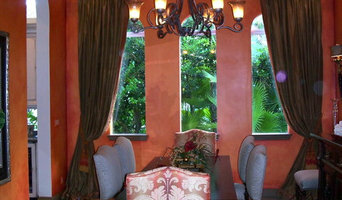 Narrow your search in the Professionals section of the website to Hobe Sound, FL paint and wall coverings. You can also look through Hobe Sound, FL photos to find examples of paint jobs and wall coverings that you like, then contact the professional who worked on them.